The Chateau 5 Drawer Chest will impart traditional elegance in your bedroom with its gracious curves, framed drawer fronts, and stately crown moldings. 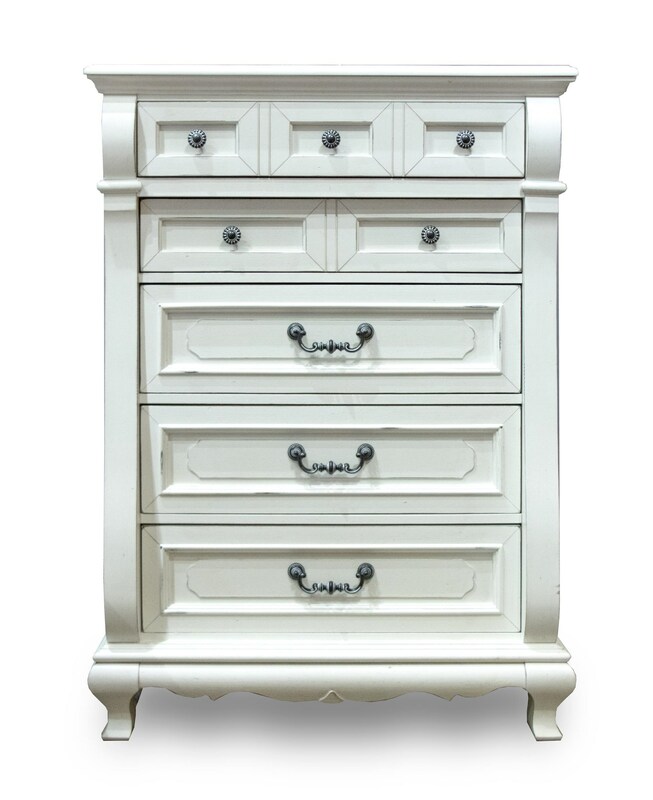 Finished in antique white with carved charcoal metal drop pulls and knobs, this bedroom chest has a touch of vintage appeal. The Chateau Drawer Chest by Folio 21 at Great American Home Store in the Memphis, TN, Southaven, MS area. Product availability may vary. Contact us for the most current availability on this product.